Speed reduction is very important because the output speed of a motor is generally too fast for normal use. Most DC motors have normal operating voltages of over 1,000 rpm (revolutions per minute) with brushless DC motors reaching almost 50,000 rpm. A wide variety of mechanical devices are available for speed reduction like pulleys, sprockets, gear reducers and friction drives. There are also electrical products that that change the speed of a motor to bring it down to a more manageable speed. This is where gear reducers become relevant. The type of application will dictate what types of gear reducers best meet that need. Before choosing a speed reducer, it is important to take into account various specifications that include torque, speed, horsepower, reducer efficiency, service factor, mounting position, connection variables and the life required. In some applications, there are additional considerations like the amount of backlash, transmission error, torsional rigidity and moment of inertia. Once the appropriate speed reducer has been chosen, proper installation and maintenance will ensure a longer life. Worm gears are considered the most cost effective solution for speed reduction but they usually have a minimum 5:1 ratio and can lose considerable efficiency when the ratio goes higher. Bevel reducers are quite efficient but with an effective speed reduction for upper limits of 6:1 ratio. 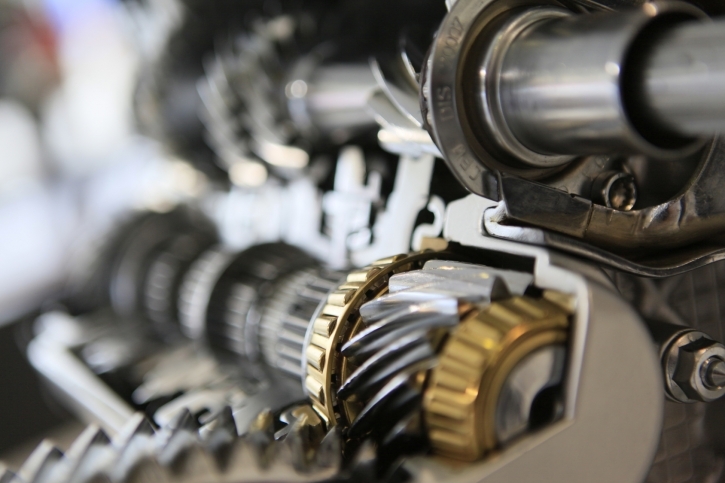 Gearheads are usually called Gear reducers because they can increase output torque while decreasing output speed. If a motor running at 1,000 rpm is fitted with the 5:1 gear reducer, the output could be 200 rpm. This speed reduction solution tends to improve performance because many motors do cannot operate efficiently at low rpm. It also provides more consistent output forces and smooth wheel rotation in spite of friction and load variations. Gear reducers when used to reduce speed, multiply torque and match inertia can help cut down systems costs. For example, an application that requires a 200lb-in at 300 rpm and driven through a servomotor alone will require a 142mm frame size and a drive that will supply 30A continuously. However, by adding a gear reducer, motor and gearhead frame size can be cut to 90mm with a smaller drive as well. Once the Gear reducer has been chosen for speed reduction, it is important to determine whether in-line or right angle gearing will be the most appropriate for the design. Furthermore, it is also important to decide between an integrated gear motor and the more common gearhead/motor pair. In-line Gear reducers are actually more common for motion control applications because of the higher torque output and lower backlash is compared to the right angle gear reducer. On the other hand, right angle gearheads are more frequently used when the servomotor has to be accommodated in a very tight space. In such situation, the output shaft of the right angle gear reducer will be at 90 degrees to the driving motor shaft. An example of a right angle gear reducer is the worm set with a drive axis at 90 degrees to the worm gear axis.